As a Music lover, i tend to have the craziest taste in music, i mean how many people would listen to classical music and still love Juju, Highlife and Apala, Agidigbo, Ogene, Highlife, Afrobeat, Jazz, to name a few. As a Forty something year old i enjoy listening to Rap, Trap, R&B and boy do i LOVE to dance. But what as all of these got to do with Hymnodia? And by the way what is Hymnodia ? I’ll attempt to answer you in a bit. So i grew up, as An Anglican Kid in Surulere, My Father’s elder brother was an Anglican Priest. (God Bless his soul) My Family is Predominantly Anglican. And Hymns were an integral part of Worship. Hardly would you walk in to an Anglican, Methodist, Baptist or Catholic Church without finding hymnals in the pews. 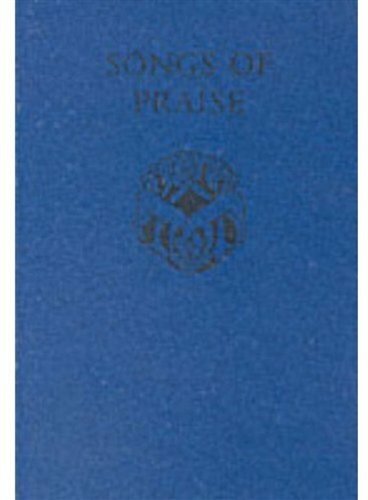 Morning devotions in Primary and Secondary schools were not complete without our Blue SOP (Songs of Praise) I remember several trips to “Baba-Odu Bookshop” On Adelabu Street Surulere to replace a “Missing/stolen” copy. So Hymns formed a beautiful part of my childhood, My Mum Still sings her favourite hymn without referring to an Hymn book till date. Through the years i have noticed how Gospel artist have borrowed from “ancient” Hymns, and how more modern forms of worship have become the norm. Trust me, i love me some contemporary Gospel music, from the Local to the foreign artistes. I have also observed that Hymns are seen as a dying art form of sorts by some young friends of mine, We know some Christians will only get to sing a Hymn when they attend, Weddings, funerals, Service 0f songs e.t.c. Another issue with Hymns is that We do not have too many “New Hymns” hardly would you see a Song writer/Composer come up with new Hymns. But All of these is about to change with the Advent of Hymnodia, A Reality Tv Show that is promoting not only the rendition of Hymns, But also the composition and rendition of Hymns. According to Mr Kufre Ekanem Of Philosvile Limited, Creators of “Hymnodia” Participants will leave the “Hymnstitute” “Better off than when they entered it”. The Hymnstitute has been set up with everything to make the stay of the 14 finalist very enjoyable. Plans have also been put in place to keep the “Hymntestants” busy throughout their stay in the Hymnstitute. The faculty has got seasoned experts in the field who would be imparting knowledge on the Hymntestants on a daily basis. A well stocked library, A lounge, and Living room area plus tastefully furnished rooms and another amenities add to the complete package. A very Popular fitness guru would also be on ground to take the hymntestants on daily drills. The last Woman or Man standing will also go home with 5 million Naira and a Car, Now wait let that sink in 5 million Naira for the winner is definitely a big deal. Listening to Ezinne Ekanem who also doubles as Co-Executive Producer of the Hymnodia Project (amongst other duties) would have Hymn lovers excited at the huge impact this Novel idea would have on fellow Hymn lovers and converts. Hymnodia airs for one hour every Sunday on TV on Lagos Television on Channel 256 on DSTv, Channel 90 on GOtv and Channel 118 on Startimes from 12:30pm. We heard that plans are on the way to add other TV Stations. Hymn lovers might also get a chance to participate and win gifts from hymnodia, via their social media handles @hymnodiahq on Twitter and Instagram but you must be following them to qualify.